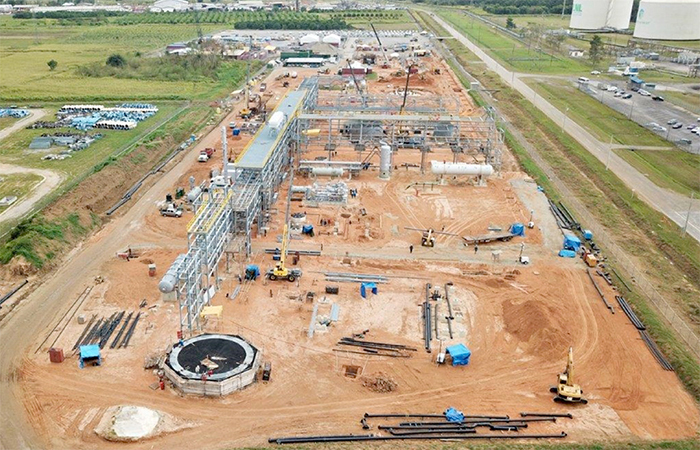 Company intends to develop an on-shore Gas Processing Unit, which shall process gas produced in one gas field (Iguana) located in the Gulf of Paria near the coast of Trinidad. The produced gas will be used as fuel in the existing Methanol Production facilities (i.e. Auxiliary Boilers and Primary Reformers burners) being part of Proman Group. The on-shore Gas Processing Unit (GPU) will be located east of Point Lisas Nitrogen Limited (PLNL) Plant approximately 3 km north of Proman Methanol facilities. The main function of the facility is to receive 80 MMSCFD natural gas stream from offshore wells; separate the gas, hydrocarbon condensate and water; treat the gas and deliver the produced gas and hydrocarbon condensate to the transportation systems (i.e. the transmission line and truck respectively); treat and pump the produced water to authorized disposal location.